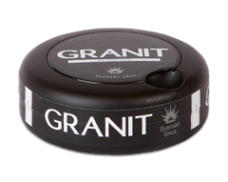 Granit’s manufacturer and creator Fiedler & Lundgren is one of those time-tested smokeless tobacco manufacturers which have been around for over a hundred years. Their snus is known for using high-quality tobacco leaves without charging premium prices. Granit is one of those brands which comes at a reasonable price, but still delivers a good flavor. Over all, the Granit line is focused on tobacco-centered flavors. While any company can tout high quality, Fiedler & Lundgren are especially transparent to prove their claim. 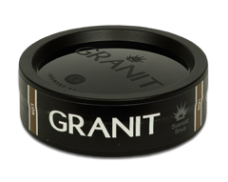 For Granit, they only use the top leaves of tobacco plants usually harvested from plantations in South- and North America, Africa and Asia. An aroma of zesty citrus and clean lemon quickly fills the nose after opening a can, which combines with strong tobacco notes to prepare for the flavor. When putting a portion in the mouth, the flavor that develops confirms the aromas hinted at in the smell: A robust tobacco character envelops the mouth and combines with clear flavors of citrus and lemon to complete the taste experience with a zesty freshness. 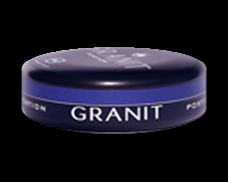 Over all, Granit is perfect for lovers of traditional snus at an affordable price without compomising on quality.